This is a sponsored post for Nurofen but my story in this post is true. Can you tell the difference between a migraine and a tension headache? Did you know that kids could suffer from both? It’s important to know what causes headaches in children. Knowing whether your child suffers from tension headaches or migraines will help you manage them. Tension headaches can develop when the muscles in your neck are a little bit tight. An awkward night’s sleep will do it. Bad posture will do it. But I’ve also found for myself that a tension headache left untreated can develop into a migraine. It’s not common for children to get migraines but it is possible if there is a genetic link.I myself am a migraine sufferer. If you’ve ever had one then you’ll know they are truly debilitating. My 12-year-old son has migraines sometimes (sorry dear, dodgy genes). He doesn’t get them very often and we haven’t worked out any predictable triggers. He has learnt to tell the difference between a regular tension headache and a migraine. It’s sometimes hard for younger kids to accurately describe what the pain is. It took a while for him to be able to tell me where his pain actually was. So now when he says to me his head hurts he can tell me whether it feels like a migraine. What I’ve come up with is the following for possible causes of his headaches. Stress can trigger tension headaches and migraines. Regular exercise can relieve muscle tension and help alleviate stress-related symptoms that lead to tension headaches and migraines. If you find that your child suffers from tension headaches and migraines the best way to deal with them is to learn what triggers them and do what you can to avoid those triggers. However, once a tension headache or migraine takes hold all that can help is some pain relief and a good long sleep to let the body rest and relax. 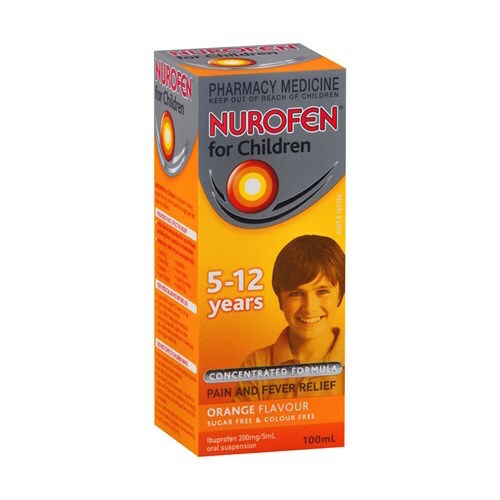 For my son I give him a dose of Nurofen because it lasts longer than other over-the-counter pain medication. Remember though that headaches aren’t just an inconvenience, they’re a usually a sign that you need to slow down, get some rest and relax because you’re overdoing it. That’s hard for us adults to keep in mind, let alone our kids!